Above left to right are the Antique Irish Green, Ash Grey, Azalea Gildan Promotional T Shirt Colors. 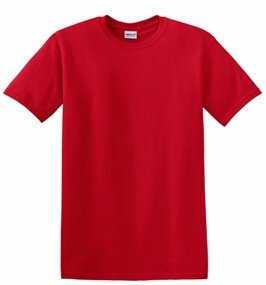 Above left to right are the Black, Cardinal Red, Cobalt Blue Gildan Promotional T Shirt Colors. Above left to right are the Coral Silk, Forest Green, Gravel Gildan Promotional T Shirt Colors. Above left to right are the Heliconia, Light Blue, Maroon Gildan Promotional T Shirt Colors. Above left to right are the Navy Blue, Orange, Purple Gildan Promotional T Shirt Colors. 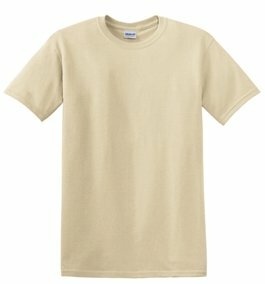 Above left to right are the Red, Royal Blue, Sand Gildan Promotional T Shirt Colors. Above left to right are the Sapphire, Turf Green, White Gildan Promotional T Shirt Colors. 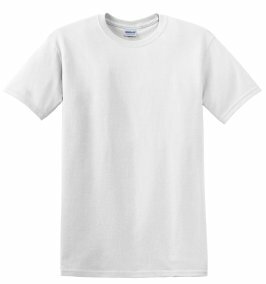 colors may not be available in the largest t shirt sizes such as 3 XL.